Live attendance data is collected and uploaded to your CampusGroups account, allowing you to maintain attendance records, control event access, measure interest and ROI, boost student engagement and monitor campus activity. View, monitor, analyze and access reports on your data in real-time, at any time. Transform your computer, iPhone, iPad or Android device into a portable attendance tracking tool. Click on the 'Check-in Attendees' button. 3. Search for the student with the 'Search' bar and click on his/her name. 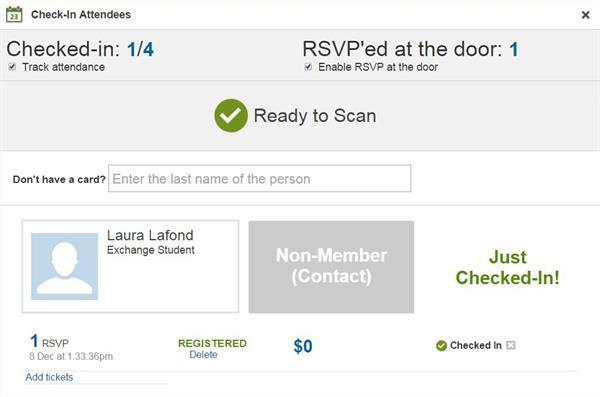 When students register to an event, they receive a confirmation email that includes a QR code. This QR code is also available under their CampusGroups profile. After downloading the CampusGroups app on your iPhone or Android, scan these QR codes at the door to check in students. 1. 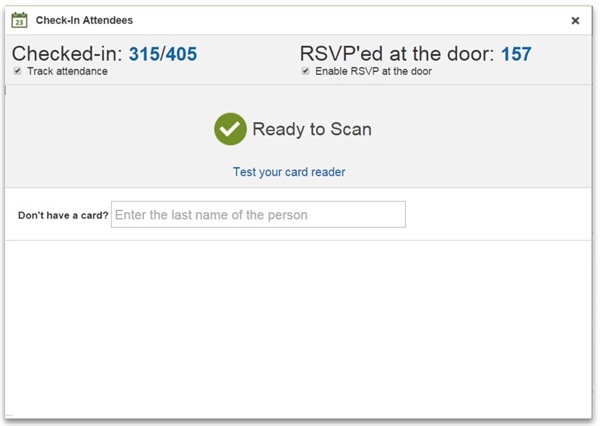 Manage Event on your mobile device. 2. Tap on 'Checkin Attendees'. 4. Scan the attendee's QR code. 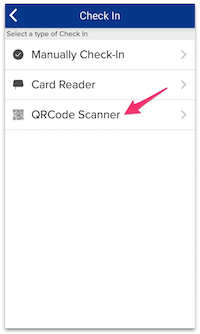 By using a card reader that we plug into a laptop, iPhone or Android device, we can track students with their student ID cards.